Nearly three out of four of college students report having sleep problems, which can lead to lower GPAs because sleep deprivation affects concentration, memory and the ability to learn. Have you felt the effects of sleep deprivation? A regular sleep schedule may seem impossible, but it can do wonders for a good night?s sleep. How can you squeeze in a few more hours of sleep every week?
" Never spend your money before you have it." Are you having trouble sleeping? Are you getting enough sleep? Do you know when sleeplessness is a problem? Find out by taking the quiz. Do you know why the body needs sleep? Do you know commons issues that are associated with sleeping problems? Take this interactive quiz to improve your knowledge. How will you plan or change your bedtime routine to encourage a healthy night's sleep? INOVA is a not-for-profit healthcare system based in Northern Virginia that serves more than two million people each year from throughout the Washington, DC, metro area and beyond. INVOA offers information about common sleep disorders, symptoms of sleep disorder, treatment options and resources for sleep studies. Sentara has been committed to helping people who want the most dedicated medical professionals helping them through every stage of life for 125 years. They offer a sleep lab in partnership with Georgetown University Hospital. This sleep lab can help diagnosis sleep disorders and is located in Woodbridge, VA.
Campus Mind Works is a website that supports the University of Michigan and provides them with information, resources, and access to staying healthy and managing college life. Their sleep page contains facts about sleep, things that can help people sleep better, frequently asked questions, and a variety of other sleep information. 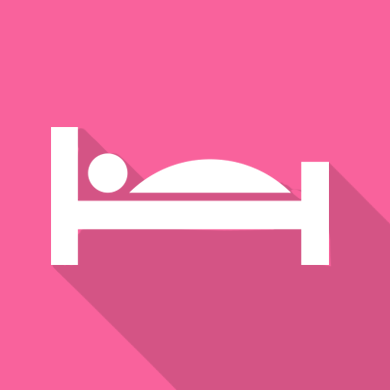 The National Sleep Foundation offers a variety of information on sleep health, disorders, tips, and finding a sleep professional. The information ranges from infants to adults, from normal work hours versus overnight hours, and more. The National Center on Sleep Disorders Research is part of the National Heart, Blood, and Lung Institute, which is part of the National Institutes of Health. They help identify and support key research in sleep, sleep disorders, and education programs for students, teachers, parents, and physicians. This info guide on the site offers information about the body, sleep, and common misconceptions. The National Heart, Lung, and Blood Institute offers many facts about sleep, such as staying awake at the wheel, narcolepsy, sleep apnea and more. They are part of the National Institutes of Health whose mission is to uncover new knowledge about health.